"Miratorg Zapad", the leading Russian manufacturer of frozen meat products and ready meals, reports that in the framework of the strategy to increase sales plans to increase the production volume by 17% - to 60 thousand tons in 2018. High-tech plant "Miratorg Zapad" with a capacity of 80 thousand tonnes per year produces more than 200 types of frozen products and ready meals. 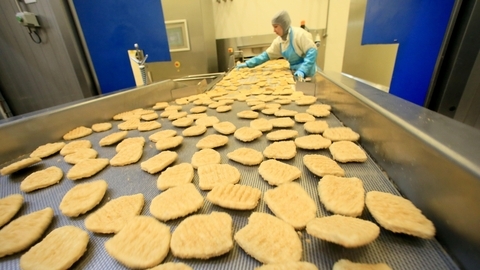 The product portfolio includes chicken nuggets, burgers, beef and pork ready meals. The company is ramping up production of products for customers in the HoReCa segment in the framework of the strategic contracts for the retail market - due to the increasing demand for high quality products. The company will continue to invest in equipping production lines with modern efficient equipment to produce new products, reduce production costs and improve production efficiency and quality control. But in the context of vertical integration the holding will continue to increase the supply of branded beef for the production of semi-finished products, including by expanding project of beef cattle in the Kaliningrad region. "The development of production, investment work for economic growth of the region, providing a key role of the Kaliningrad region in the production of semi-finished products. In the new year we will not only build up the volume of output, but also update the portfolio of products in accordance with buyers 'needs", - commented the press service of the APH "Miratorg".